In the coming fortnight, the Philippines, Malaysia, southern Viet Nam, southern Thailand and northern Sumatra are expected to receive below average rainfall. 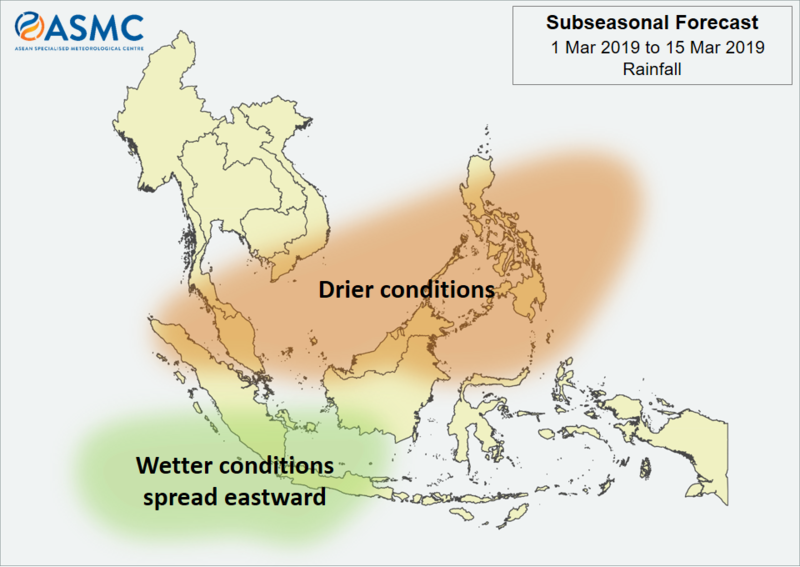 Wetter-than-usual conditions are forecast over the southwestern parts of the southern ASEAN region (marked in green in Figure 1) in the first week of March, and may extend eastward in the second week. The higher-than-average rainfall can be attributed to the passage of the Madden-Julian Oscillation (MJO) during this period. 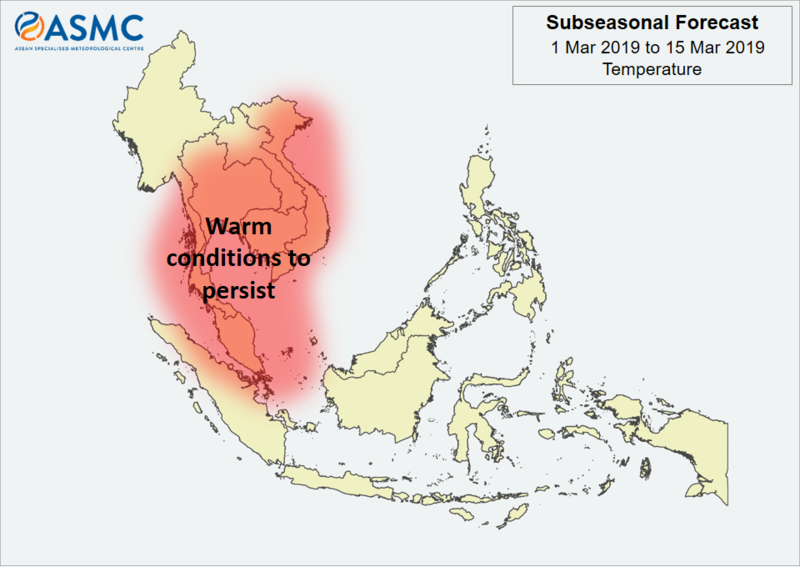 Warmer-than-usual conditions are expected to persist over Cambodia, Lao PDR, southern Thailand, Viet Nam, Peninsular Malaysia and northern Sumatra in the first fortnight of March.